Casio has been a big name in pianos and digital pianos for a while. The Casio PX-860 was a very popular model for many years, so when Casio announced it was replacing the model with something new, the company had big shoes to fill. 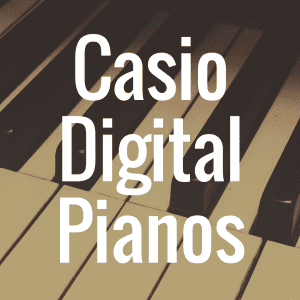 When looking at a Casio digital piano, it’s important to consider a few important elements such as design, sound, and connectivity. 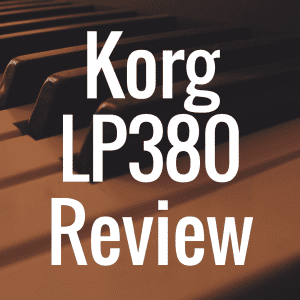 It’s also essential to compare the digital piano with others on the market. With the Casio PX-870, they aren’t just replacing a popular model in the PX-860, they are also attempting to enhance their overall share of the weighted key digital piano market. With the Casio PX-770 already in the field, is the PX-870 all it’s cracked up to be? Well, in this review, we’re going to examine this exact question in-depth. And to better help you, please take a moment to view the interactive guide below to directly compare the Casio PX-870 to other noteworthy digital pianos on today’s market. The PX-870 fits in great with home furnishings with its stylish design. With a fiberboard structure and finishes in black and white, the finished product is beautifully-styled with a realistic wooden texture. 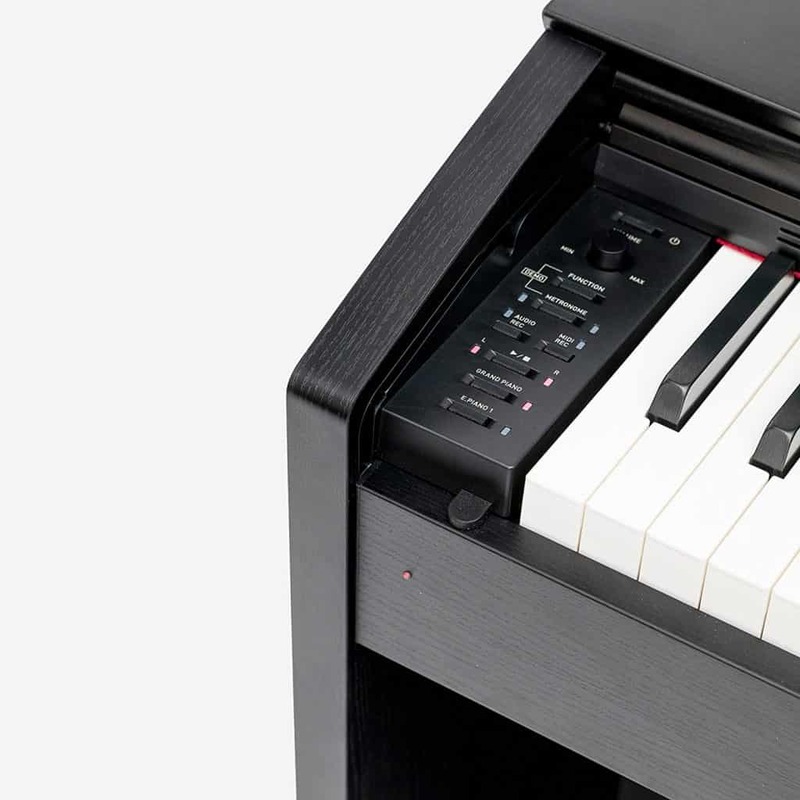 The PX-860 has a lid on the cabinet that you can raise to allow the sound to come out of the top of the piano. With the PX-870, a speaker system has been included that allows sound to come out of the top without raising a lid. Technologically speaking, this is certainly an improvement but it’s also an improvement in the overall design. With the lid down permanently, you can opt to use a music lamp and keep sheet music at the ready. The Casio PX-870 also features Casio’s Tri-sensor Scaled Hammer Action Keyboard II. All of the technology behind this feature is intended to make Casio’s digital pianos play just like an acoustic piano. The keys are touch-sensitive so that the volume is affected by how hard or soft you play the keys but you can adjust the sensitivity with 3 levels. The keyboard is graded so that the keys to the right feel progressively lighter and the keys on the left feel progressively heavier. Also, the keyboard uses hammers to mimic the feeling of playing an acoustic piano. So the real question is, does the Casio PX-870 with its Tri-Sensor Scaled hammer action keyboard II actually play like an acoustic piano? 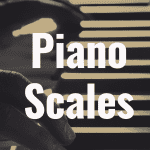 The technology is remarkably accurate considering the vast difference in materials and construction of a digital piano versus a true acoustic piano. If you have been playing a baby grand with real ivory keys, you might not be as impressed with the technology. However, the reality of the musical instrument industry is that, as with everything else, digital is becoming more prolific. For those users who want an upgrade to the sound, quality, and experience of playing a digital keyboard, the Casio PX-870 will be that upgrade. The piano comes with three pedals: sustain, soft, and sostenuto. Conveniently, the sustain pedal also supports the half-pedal function which is responsive to half-depressions just like the damper pedal on an acoustic piano. The keys themselves are an improved synthetic ivory which is a step-back to the natural ivory keys of the acoustic pianos of yesteryear. There is no display, which is a disappointment for me. It is nice to be able to see current settings and see the cycle through new settings. Knowing how easily others have been able to incorporate a small display, the lack of one is a downer. Thankfully, but also annoyingly, there is a beep when you change the settings to indicate that you’ve made a change. It’s very analog in a digital age. 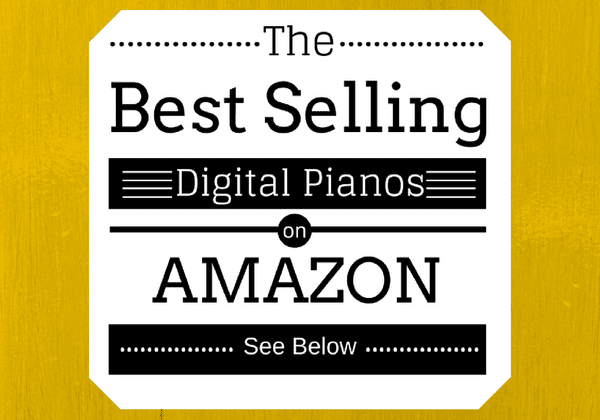 And below, please take a moment to view some of the best-selling digital pianos currently on sale on Amazon (and see how they stack up to the Casio PX-870). The PX-870 features 256-note polyphony which allows you to develop complex musical pieces and layer a lot of sounds without running out of notes. While it’s unlikely that players will reach the full spectrum of 256-note polyphony, it is possible to reach the 64 or 128-note polyphony with many other digital pianos. This enhancement for the PX-870 makes it a cost-effective competitor with the Yamaha Arius YDP-184. 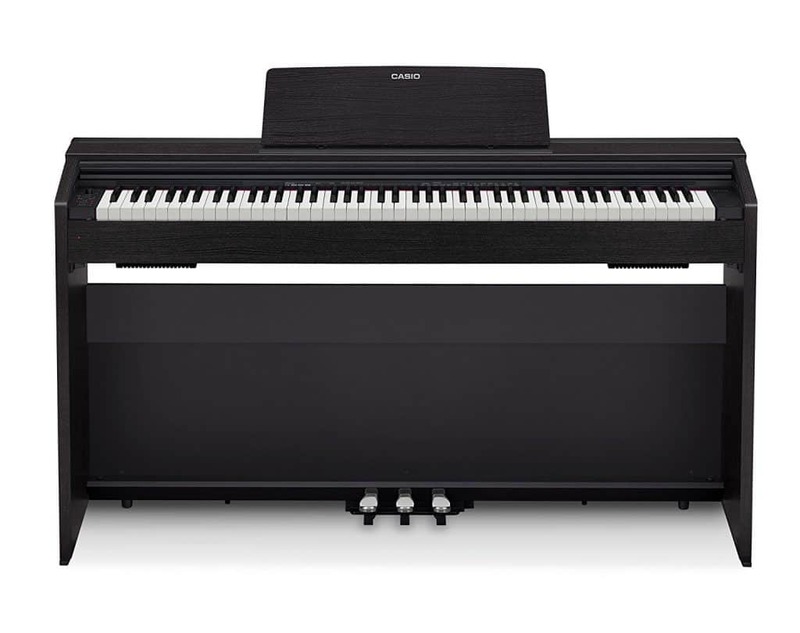 As noted in the specs, the PX-870 has 19 tones which include 5 grand pianos (concert, mellow, bright, modern, rock, jazz), 4 electronic pianos, 4 organs (pipe, jazz, and 2 electric organs), 2 strings, harpsichord, vibraphone, and bass. 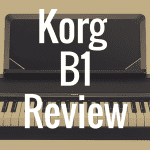 Although many digital pianos and certainly keyboards house hundreds of sounds and tones, at least these 19 tones are authentic and rich. Casio uses string resonance to recreate true resonance for the weighted keys. Again, this is an attempt to create not only the initial sound of an acoustic pianos keys but also the resonance created by the strings. The resonance is adjustable with 4 different settings to suit your taste. There are a few other features that Casio uses to recreate the sound of an acoustic piano such as lid simulator, key off simulator, and hammer response. The lid simulator allows for lid removed, lid open, lid half-open, and lid closed to simulate the sound changes with opening and closing the lid of a grand piano. Every weighted key digital piano needs advanced hammer response to achieve acoustic realism. The Casio Tri-Sensor Scaled Hammer Action II, for example, closes the gap between sound structures from a grand piano and a digital piano. 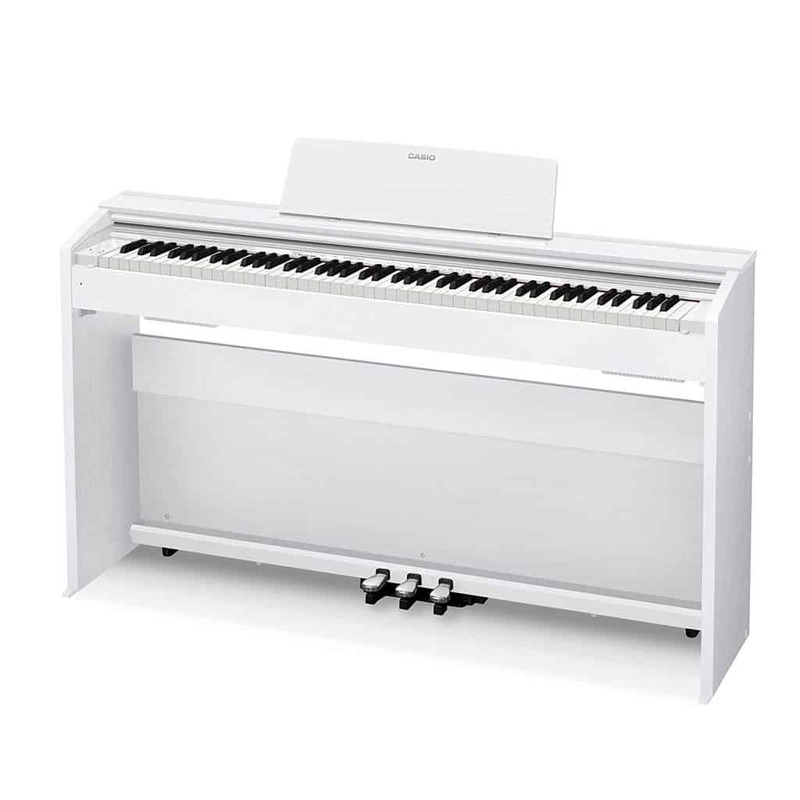 The three-sensor feature detects keystrokes sequentially and allows for a note to be played repeatedly without the key returning to a full resting position. Dual Mode – Allows for layering two different sounds such as piano and strings with simultaneous sound. The sound balance can also be adjusted. Split Mode – Simply allows the keyboard to be split into two segments and assign a tone to each side. Duet Mode – Much like Split Mode, this mode splits the keyboard into two equal sections with two middle C positions. This feature, as noted by Las Vegas Music, is a fantastic option for student/teacher experience. The PX-870 includes a music library of 60 songs and you can upload up to 10 MIDI songs into the internal memory. You can listen and play along with the songs for practice or just for fun. Similarly, there recordings of a live orchestra that you can play along with in a feature called Concert Play. There are 10 tunes in this mode and the sound is very realistic so if concert piano is your forte, you will enjoy this feature. For students who would like to learn how to play accompaniment, this is an excellent feature and quite fun to try. The score book is included with the digital piano and the scores of those songs are included. Hopefully, future iterations of the PX-870 will expand this feature to include even more scores. There are options for recording and playback, but they are limited because of the storage limitations for the PX-870. Recording audio (WAV files) captures the sound of the musical instrument itself when you play. These files can be saved directly to a USB flash drive and played back just as easily. There is a second option, MIDI recording, which captures only sequence of notes, velocity, etc. The PX-870 will only store one song but you can record to a flash drive for more storage. The low-internal storage capacity is a downside for the PX-870 but the USB flash drive port is a fairly convenient workaround. The PX-870 connects to any Mac, PC, iOS, or Android device with a class-compliant USB. No drivers or installation is necessary which makes it almost universally easy to connect with. The Casio PX-860 was a proven value in its price range or quite some time but it’s evident that Casio has done a great job of enhancing the model with technology and design to increase authenticity. The built in 40-watt, 4-speaker Sound Projection system gives the sound from the PX-870 a touch of realism as it emanates from multiple places within the instrument. Also volume sync which has been added to the newest model which improves the sound at low volumes. They’ve also added a concert hall simulation that mimics the stereo affects you would get in a spacious concert hall with an acoustic piano which makes the PX-870 an even better option for recital halls, classrooms, and houses of worship. The keys themselves are an improved synthetic ivory which is a step-back to the natural ivory keys of the acoustic pianos of yesteryear. The cabinet design is smoother with fewer seems and providers an overall better impression from the exterior and the control panel has been repositioned to the left side of the keys for the PX-870. 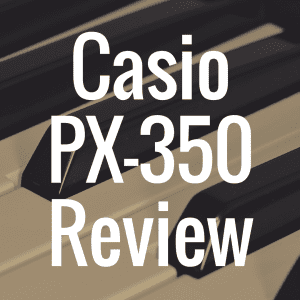 Overall, Casio has met and, in many ways, exceeded expectations by replacing the PX-860 with PX-870. The enhancements are visual, audible, and functional. If players who have been using the PX-860 were frustrated with limitations in that model, it might be worth the upgrade to have a PX-870 at home. For those who are just now browsing the market for a Casio weighted-key digital piano with remarkable sound and advanced features, the PX-870 is the way to go. Although there are obvious enhancements from the PX-770 to PX-870 models, there are several similarities to note. Both models have the same authentic feel and design, full 88-key range with scaled weighted hammer action, adjustable touch sensitivity, duet mode, three-pedal board, simulated ebony and ivory texture keys, and music stand. There are a few differences between the PX-870 and PX-770 that are worth noting and it’s not just the price difference. For starters, the PX-770 has a 128 note polyphony compared to the 256-note polyphony of the PX-870. The PX-870 also has string resonance, lid simulator, and adjustable hammer response which are not included with the PX-770. It’s a purely aesthetic difference, but it should be noted that the PX-870 comes in black or white while the PX-770 comes in black, white, or oak. Both are similar in design and are made of equitable material for a sturdy cabinet design. If the price tag difference is not an issue for buyers, they would do well to swallow the added expense to get the enhancements that come with the PX-870 but for the price, the PX-770 is an excellent value. The Casio PX-870 is a great bargain for the list price of about $1,499. The enhancements over the PX-860 are worthy improvements. Proficient pianists should find the features meet their needs even though you never can fully replicate the sound of an acoustic piano. 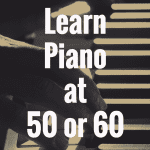 Beginner pianists should find this instrument can keep up with their growth and development of style. This model earned 4.7 stars because of its technical enhancements, authentic sound, and broad spectrum of usability all while maintaining a reasonable price tag. A few more features such as increased internal storage might have tipped the scale to improve the star rating but it’s an excellent offering that one would expect from Casio.